Imagine that you’re alone, standing at the top of the Eiffel Tour just as the sun sets. What goes through your mind at that very moment? As your eyes wander, do you feel a sense of peace and excitement standing there alone? There are many benefits to traveling alone. Here are 12 things I’ve gained from my travels alone, in the United States and abroad. How to book affordable travel. Remember those days when your mom booked a summer vacation to the beach? That doesn’t happen when you’re a college student traveling alone. I have learned how to weigh my options for flights (sites like Kayak or booking cheap deals with Southwest Airlines) and for lodging. Lately, I have become an advocate for hostels. Not only are they cheap, but it’s a good way to meet other students like yourself. Which transportation methods work best for the city you’re in and for you. Are you more of an Uber person or a taking the Metro or Subway person? Personally, I love taking the city’s public transportation, like Chicago’s CTA system. How to appreciate being alone. Many people, including myself, get anxious or fidgety if left alone for a long time. But when you are alone in a new city, there are few greater pleasures than just taking time to sit and look out around you. 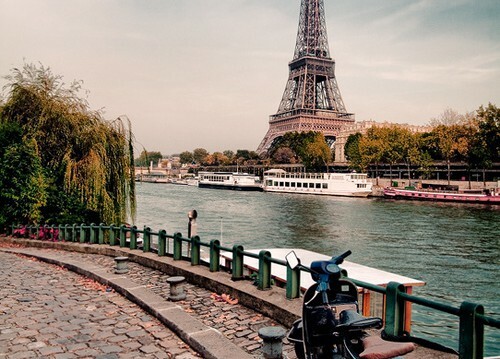 I remember one afternoon when I was in Paris- I sat along the Seine River eating macaroons and just let my eyes wander. I felt so much peace. How to make friends with strangers. This may be a hard one for some people and that’s why I love staying at hostels. When I stayed at IHSP Hostel in Chicago, I would just go up to anyone I felt like just to talk to them. One of those instances ended in a group of us all getting dinner together. It felt like a little international student family. One of my passions in life is coffee. It brings me comfort. I look for new, hidden local coffee shops in every new city I visit. If I had never gone to Portland, I never would have tried a “peanut butter bacon pickle burger.” Just trust me on that. I felt this most strongly when I tried to navigate the Amsterdam public transit system alone. I did not know the language and the maps confused me. So I asked for help from a local along the street. I was terrified that he would laugh at me. I took the train from London to Edinburgh. When I walked out of Waverly Station in Edinburgh, I had directions written down. But as I walked down the sidewalk, something in the back of my mind told me I was lost. I kept walking and took a blind leap of faith to turn up the main road in Old Town and was right. Just trust your gut. This is a hard one. Being in a new city alone can cause most people a feeling of anxiety or fear. A million horror stories may flash across your brain. Take a deep breath, gather all that excitement, and have fun. Be brave. It’s worth it. The best lesson in map reading that I’ve had is in learning to use the Chicago Metro system. Learning to find yourself is the single most important lesson you can learn from traveling alone. I’ve learned what truly interests me, what is important to me, how to enjoy life and what being young means from traveling alone. I have taken a part of each city with me and left behind a part of myself in each city I’ve visited. I encourage you to do the same.